What if you were told that you would get discounts on your car insurance premium and other incentives based on your driving habits and car usage? It may sound too good to be true, but that is the future of car insurance. Telematics insurance is a motor insurance product innovation that utilises mechanical and communication technology to allow the policyholder to pay as per the car usage and the quality of driving. 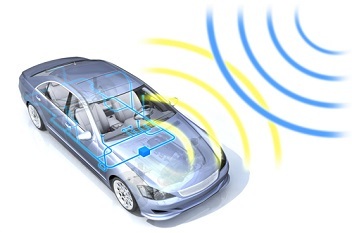 Thus, in telematics insurance, the insurance company fits a device called the ‘black box’ to the vehicle of the owner, which is then linked to the GPS. The black box monitors the driving habit of the car owner in real time and conveys the data to the insurance company. The data so collected pertains to the use of the car in terms of number of times the driver hits the accelerator or applies emergency brake, breaking of traffic rules or cutting lanes, etc. After analysing the data, the insurance company assigns a score to the policyholder. If the score is high, the discount offered on insurance premium will be high and vice versa. The black box devise also helps the owner in keeping track of the performance of the vehicle by alerting the owner on the need to run a maintenance check. If the car meets with an accident, it helps the owner to get medical aid and roadside assistance (to tow the vehicle) faster. In the event of the theft of the vehicle, it helps the police to track the vehicle and the nab the thief quickly. Last, but not the least, it helps settle the insurance claim faster. So, be ready for the next generation of motor insurance products that will reduce the cost of insurance and make life easy for the policyholder.